Very professional yet beautiful poem. Keep it up! Simple yet so beautiful.Love do give us rainbows. Beautiful! From your perspective the She could be someone you are thinking about but to a readers perspective She is a mother, a daughter, a girlfriend, a lover, a wife, a Goddess. An absolute delight to read. So many precious gifts, in the end she gives you the Rainbow 🌈. How precious. I agree to previous comment, this is musical. I am glad you do… thanks. 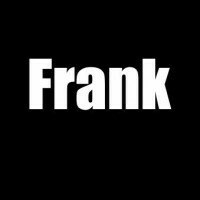 Really an Awesome post, Frank!! So romantic!!! Bravo!!! Any chance of a reciprocal link Frankie? I have been publicising your blog for a few weeks now? There’s always the comments section where you can drop your link.